This popular series of three practical, hands-on half-day workshops was developed as part of CRU’s NDIS Participant Readiness work. 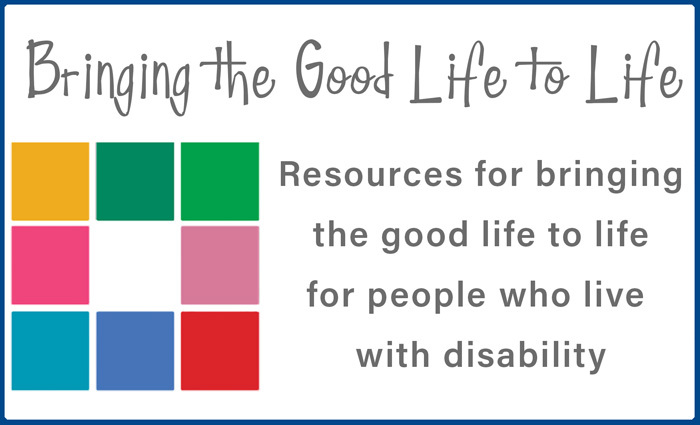 It is designed for people with disability and their families to turn their vision of a good life into reality. Come to one, two or all three workshops. These workshops will assist people to be clear about their goals, to think creatively about supports and build an understanding of some of the nitty-gritty of self-direction and self-management. This workshop provides tools to develop a vision and a plan and encourages you to think about the life you want and the goals and aspirations that are important to you. Participants learn from each other and start to identify the funded supports needed to complement and strengthen informal, community and mainstream supports as well as considering how to blend their natural supports with paid supports. For people interested in self-management, this workshop draws on experience and wisdom from families already self-managing. Look at ways to both manage and direct the support needed to sustain a good life, including recruiting the right staff for the role. What are the supports needed for a good life? How can you blend funded NDIS support with the natural supports that come from family, friends and community? What does it mean to direct and manage your own supports? Catherine Laherty works at CRU as a Consultant, for the last three years focussing on CRU’s NDIS Participant Readiness work. She has presented many of CRU’s NDIS workshops across Queensland, assisting people with disability and families to prepare for the change to the new scheme and to explore what may be possible. Catherine is a sister to three brothers, one of whom has a disability. This workshop is for people with disability, their families and supporters. Workers are most welcome to attend and learn from an individual and family perspective about managing and directing supports both unfunded and paid. The Making the Most of Change series of workshops can provide a good foundation for another workshop CRU is running this year in Ipswich and Rockhampton. 7 Steps to Self-Direction: building right relationship between service users, families & support workers. This one-day workshop explores a practical, values-based framework for self-direction, and how to develop supports that work respectfully and constructively together. It is for people involved in a self-directed arrangement who want it to work as well as possible. These events will be complementary, with some overlap which will be helpful for people who cannot attend all workshops. You can find more information about 7 Steps to Self-Direction in Ipswich here and in Rockhampton here.